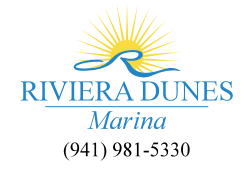 Summer is prime time for fishing trips here around Riviera Dunes Marina, which means you have to know how to dress for the season and the climbing temperatures! The thing about dressing for summer is that you want to wear breathable, comfortable clothing, but you also want to make sure you’re protected from the sun. 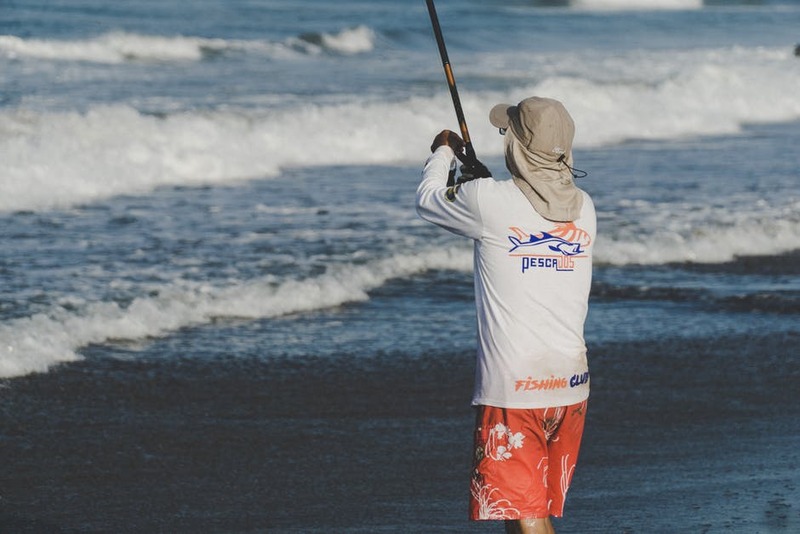 Whether you’re taking your boat out for your summer fishing trip or you’re going boatless and heading to the shores, here’s what you should wear so that you can have a great time catching our local fish! First things first, you want to protect your skin with plenty of sunscreen, especially during your summer fishing trip. Choose sunscreen that not only has a high SPF, but it is also sweatproof and waterproof! Of course if you have sensitive skin, make sure that you find a hypoallergenic formula that also fits the aforementioned requirements. Then, when you’re out fishing, reapply your sunscreen every couple hours. 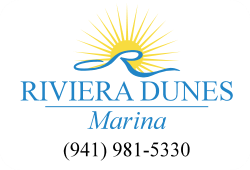 When choosing your base layer, find a shirt that contains 100 percent polyester and a UPF (Ultraviolet Protection Factor) of at least 50, this way the sun will have a much more difficult time getting to your skin when you’re out on the water or in the sun all day. And if the shirt is water repellent, this is crucial so that when you sweat, it won’t be able to linger on your skin. Now that you’ve found your base layer, it’s time to get the perfect shirt for your summer fishing trip. You’ll do well with a 100 percent nylon shirt that will dry quickly, since this fabric is lightweight and more ventilated allowing you to have great breathability when you’re fishing. Some shirts even have insect repellent built into them, which is a bonus when it comes to fishing! For your bottoms, it’s recommended to wear shorts. However, if you plan to spend a long day out fishing, with changing temperatures throughout the day, you could even wear pants that can be converted into shorts. Look for pants that have UPF 50+, are quick-drying, moisture-wicking and lightweight, yet durable, to withstand a full day on the water. Of course, the more pockets the better, so that you can hold any fishing tools if you’re in the water or away from your boat. There are two types of shoes you should wear when fishing this summer: flip flops and water shoes. You’ll want both types to be waterproof, comfortable and easily formed to your feet. Just like your bottoms, you want your shoes to be lightweight enough so that they are flexible and comfortable, but you also them to be durable enough to grip to wherever you’re standing when you get your big catch! When it comes to hats and sunglasses, you’re providing an extra layer of sun protection from the sun. This of course doesn’t mean that you should forego sunscreen. Look for a wide-brimmed hat made with a waterproof material that will also protect your neck, face and ears from too much sun exposure. For sunglasses, wear those with 100 percent polarized lens but are also high-quality to ensure the best protection. Lastly, protect your hands with gloves during your summer fishing trip. While you might not wear these during the entire duration of your fishing trip, they are good to have should the weather grow colder or if it’s a particularly sunny day.